Sleep hollow is a Hollywood film which was released in 1999 it is a horror film and directed by Tim Burton. 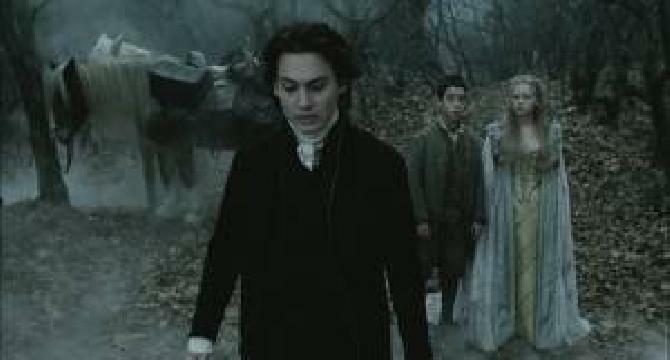 The story of the film is like that sleep hollow is a village where a horse man come who head is cut of his body and he kill a villager and go back. Then for the New york city a man is come to find out what is that and how he could do that and during the investigation he fall in love with a girl here in the village. When the investigation is going on then some group of people do some thing wrong with that man who come on horse and we kill one by one that one who do some thing wrong with them and in that group of people the girl father is also involve. One day when the horse man come to the village the man go after them and bring his head and give it and that why he finished this game. Everything in which Johnny Depp works is always great! I watched this film back in 2010. It was a nice film. yes its great, thanks for this my dear, keep maintaining............................................! !